Tinted, lightweight, sheer and cosmetically elegant all physical broad spectrum UVA/UVB protection. Gentle enough for sensitive, post-procedure skin types with age-defying ingredients that moisturize and improve the skin’s texture and tone. Oil Free. Fragrance Free. Paraben Free. Non- Comedogenic. Hypoallergenic. reapply at least every 2 hours and after towel drying, swimming, or sweating to avoid lowering protection. Inactive ingredients: Water, Cyclopentasiloxane, Dimethicone, Polyglyceryl-3 Polydimethylsiloxyethyl Dimethicone, Butylene Glycol, Aluminum Hydroxide, Dimethicone/PEG-10/15 Crosspolymer, PEG-9 Polydimethylsiloxyethyl Dimethicone, Sodium Chloride, Caffeine, Camellia Oleifera Leaf Extract, Tocopheryl Acetate, Sodium Citrate, Dimethicone/Vinyl Dimethicone Crosspolymer, Triethoxysilylethyl Polydimethylsiloxyethyl Hexyl Dimethicone, PEG/PPG-18/18 Dimethicone, Triethoxycaprylylsilane, Stearic Acid, Ethylhexylglycerin, Phenoxyethanol, Iron Oxides (CI 77491, CI 77492, CI 77499). 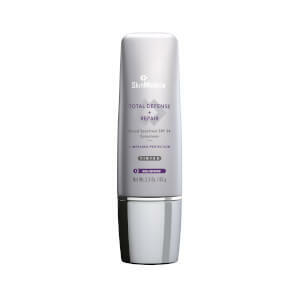 I really like SkinMedica products as you don't feel like you have to scrub them off with a wire brush! Sometimes, those SPF products are just too hard to remove, and that clogs your pores. Not this product! Plus, with a very subtle tint, you also don't look like a kabuki doll! Great coverage, easy to remove and my skin looks and feels great! Wished the bottle lasted longer! I think skin protection is vital. 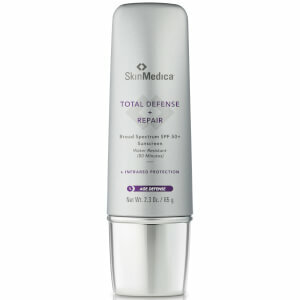 This sun screen is very effective, easily applied, easily absorbed by skin, and has a lovely finish. Just started using this sunscreen and absolutely love it. Provides good protection and it works perfectly to even out my complexion. This is definitely one of the products that I will use every day. Love it! Love this tinted moisturizer. Lightweight & stays put forever! Amazing!